From Oakland Magazine: "The tick that took me out." 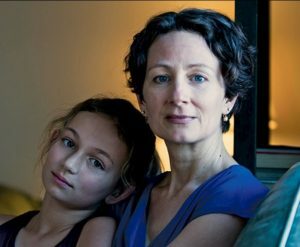 One woman’s story of getting and coping with late-stage Lyme disease—one of the fastest spreading, most debilitating, and least understood diseases in the nation. In summer 2013, I got a tiny tick bite. The nymph (baby) tick was a western black legged tick, the size of a poppy seed. The more common dog ticks are much larger, and don’t carry Lyme disease—but I didn’t know about this distinction at the time. The nymph tick lodged itself in my belly while I was reading a book, sitting on a patio in the sun on a little piece of property that my husband and I call our “Gypsy Camp” outside of Healdsburg [California]. I absentmindedly ran my hand over my stomach, and felt the tick’s little tiny legs poking out. It hadn’t been on me long—it wasn’t at all engorged. From previous tick bites on my kids and our dog, I knew that if a tick has been drinking your blood, it swells up like an evil grape. I pulled the tick out with a pair of tweezers, and called my medical provider, Kaiser.